The Tack Box stocks a large range of equipment for horse and rider. Jeffries, Wintec, Bates, ect. We also stock feed, wormers, supplements, electric fencing. Society of master saddlers qualified saddler on site for all repairs and saddle fitting. New saddles existing saddle checks. Horse feeds include Dodson and Horrell, Dengie, Allen and Page and Spillers horse feed. Horse Wormers and additives including Global Herbs and stable hardware. Equestrian Clothing by Puffa, Toggi, Dublin, Equetech and many more. 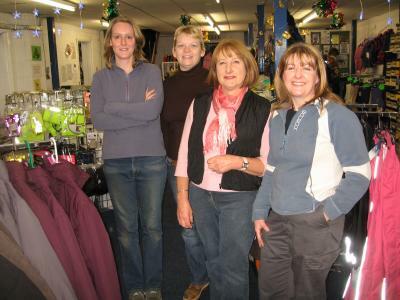 The Tack Box Crew are friendly, knowledgeable staff and are here to help you. They always have the time to offer advice and great value. I think the tack box is very good, the quality of the clothes are excellent. I have been to other equestrians but they are by far the cheapest. I have started riding again which meant new things as i have grown out of my old ones …. and another great thng about the tack box is the staff they are very very helpful really 11kind and put u on the right road of what size you need. OVERALL A FANTASTIC EQUESTRIAN IF YOU NEED ANYTHING FOR YOU THE RIDER OR YOUR BEST MATE HORSIE … THANKS FOR READING. Always a friendly and helpful service, an excellent Master Saddler Service, would highly recommend for all your horsey requirements. hi i love tack box it is my favourite shop. i always go there to get christmas prezzies, clothing and horsey items! They also sell chicken feed to order, pick up in a couple of days. Always a very helpful and friendly service. An excellent master saddler service. Would highly recommend for both sales and repairs. Hi Tack Box and welcome to LocalRiding.com. Remember to increase eveyones interest by keeping us all up to date on your latest offers on horse tack, saddles, etc.